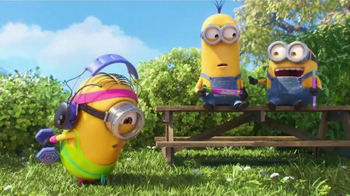 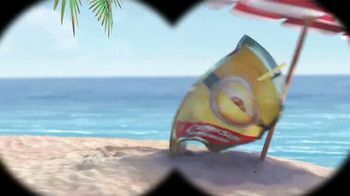 On the beach, two Minions are spying on another Minion through binoculars. 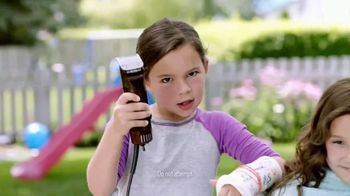 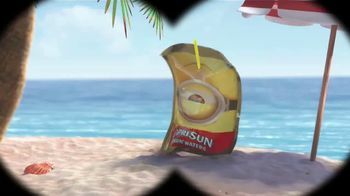 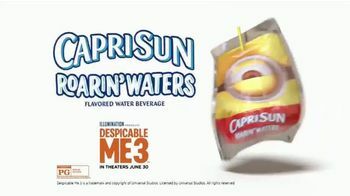 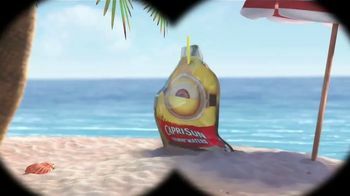 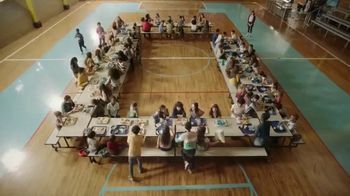 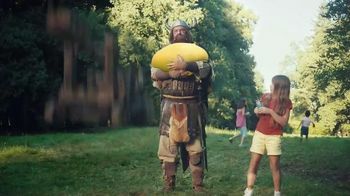 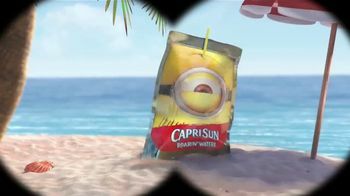 The unlucky victim of the spying is a Minions-themed Capri Sun Roarin' Waters pouch that is twisting and turning to the beat of a song. 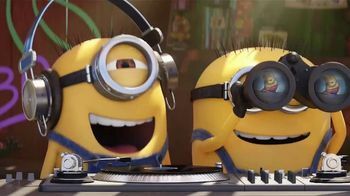 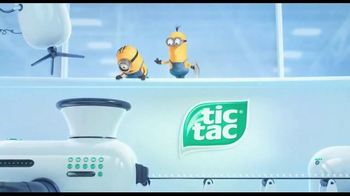 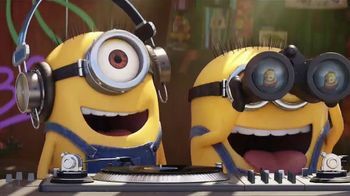 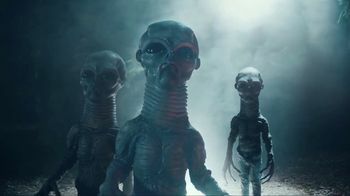 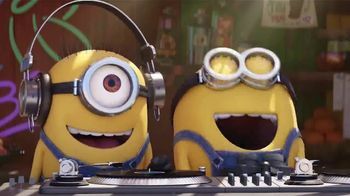 The dancing cracks up the other Minions who will be starring in "Despicable Me 3," which releases in the summer of 2017.